Uglyworld #1962 - Eyes Of The Tigers - (Project Cinko Time - Image 168-365), a photo by www.bazpics.com on Flickr. Withs all of the hollywooder superstars jumperings around our hotels I has decidereds that I will hangers out in the hotels bar to sees how I can spotters. 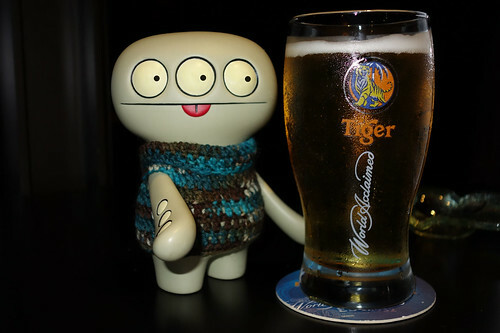 To helps me out withs my tasker, I has acquired some tastiers beer, to helps give me the eyes of the tigers!